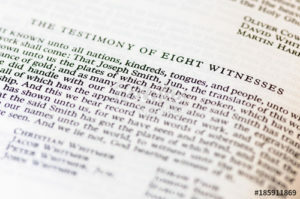 If you were to ask members of The Church of Jesus Christ of Latter-day Saints to name the witnesses to the Book of Mormon, the answer would probably be the names of the men who are most commonly known – Oliver Cowdery, Martin Harris, and David Whitmer – the “Three Witnesses.” There is also the testimony of the “Eight Witnesses,” where seven of the eight witnesses were surnamed “Whitmer” or “Smith,” and hence, they too are well remembered. 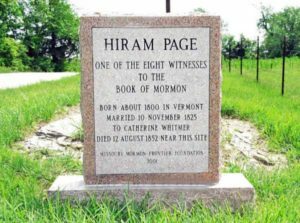 But, what about the other witness to the Book of Mormon – Hiram Page – an early member of The Church of Jesus Christ of Latter-day Saints? 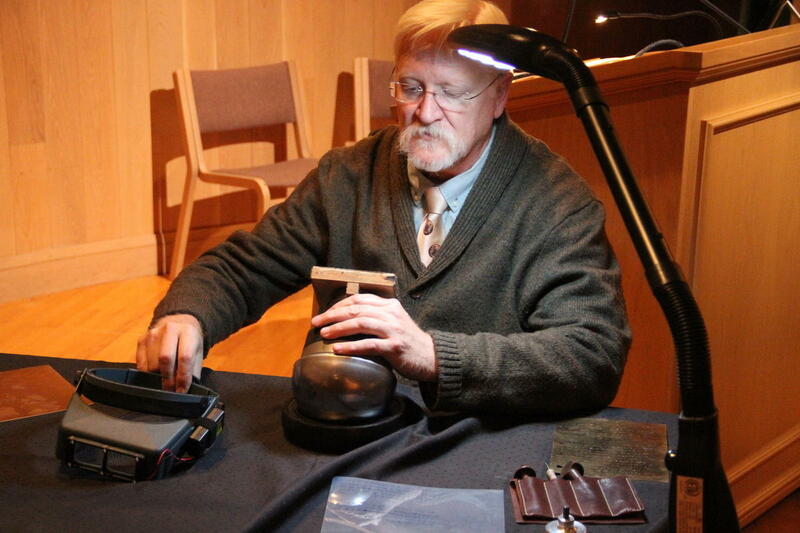 He too testified that he was shown the gold plates from which the prophet Joseph Smith translated and that he did indeed handle the plates and “saw the engravings thereon, all of which has the appearance of ancient work, and of curious workmanship.” Yet, it seems that the name, Hiram Page, has all but been forgotten today. Even his obscure burial place, located near Excelsior Springs, Missouri, was lost to the world until it was relocated in 2000. Hiram Page is remembered and discussed in connection with his brief August-September 1830 experience of using a “seer stone” to seek guidance on behalf of the newly organized church, leading to the modern-day revelation known as Doctrine and Covenants 28. Section 28 of the Doctrine and Covenants not only condemns the messages received by Page as being satanic but more importantly, established the principle that only one person at any given time is authorized to obtain revelation on behalf of the Church as a whole – namely the Prophet. Hiram Page was approximately five years older than the Prophet Joseph Smith, having been born in Vermont around 1800. He primarily made his living as a farmer, but he also studied medicine and occasionally practiced as a frontier physician. In November 1825, he married Catherine Whitmer, the daughter of Peter Whitmer, Sr. and Mary Musselman Whitmer. It was through this relationship that he met Joseph Smith and became a member of the Whitmer family. Mary Whitmer eventually became an unofficial witness to the Book of Mormon. 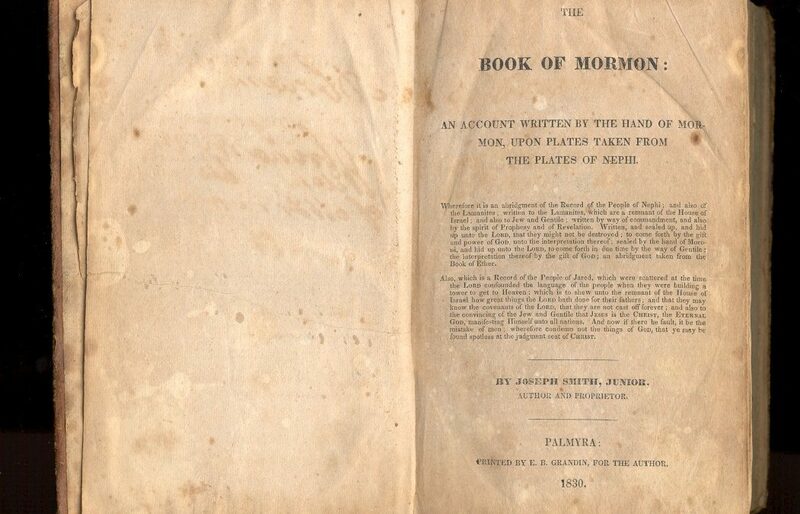 In June 1829, along with three members of the Smith family (Joseph Smith, Sr., Hyrum Smith, and Samuel H. Smith) and four of his in-laws (Christian Whitmer, Jacob Whitmer, Peter Whitmer, Jr., and John Whitmer) Hiram had the experience with the gold plates, making him one of the official Book of Mormon witnesses. Hiram Page and his family moved from New York to Ohio, and then from Ohio to Missouri. On 31 October 1833, a mob of approximately 40 anti-Mormon vigilantes severely beat him while his wife and children were forced at gunpoint to watch, fearing that he would not survive the beating. (At least one historian believes that the injuries that Hiram Page sustained may have been a cause of his early death. One account state that the tormenters, realizing that Hiram Page would rather die than deny his faith, refused to continue beating him. LDS Living.com reports, “amidst the financial and other controversies that engulfed the Saints after 1837, members of the Whitmer family were excommunicated. Hiram Page, too, left the Church with his large family. Although he does not seem to have been excommunicated himself, there is no record of his participation with The Church of Jesus Christ of Latter-day Saints after 1838.” Hiram Page and his family relocated to a farm near Excelsior Springs, where he died on 12 August 1852. 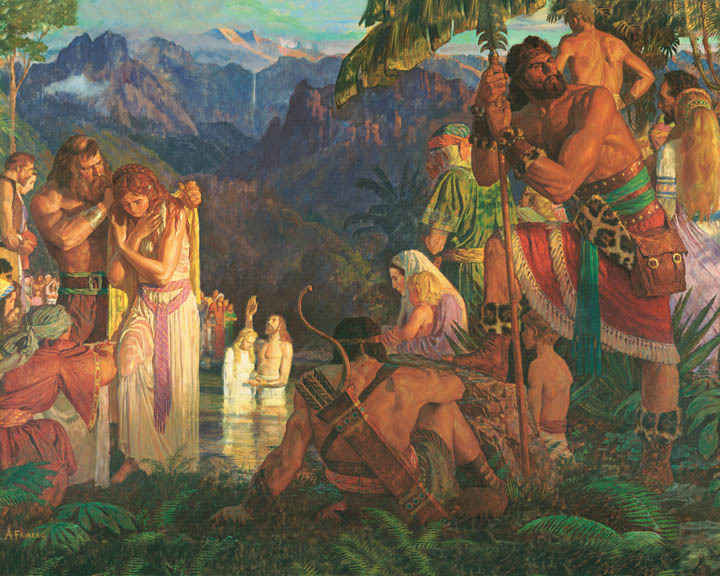 Although Hiram Page left the Church, he never denied his testimony of the Book of Mormon. This is evidenced in his continued involvement in movements based upon the book, with William E. McLellin and his Whitmer in-laws. 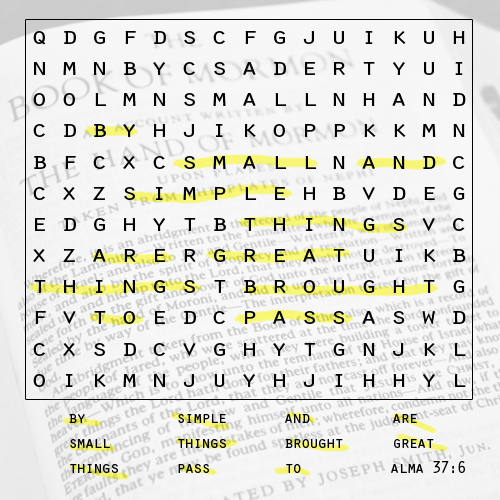 In 1888, Philander Page, Hiram’s son who had no affiliation with any branch of Mormonism, said in an interview, “I knew my father to be true and faithful to his testimony of the divinity of the Book of Mormon until the very last. Whenever he had an opportunity to bear his testimony to this effect, he would always do so, and seemed to rejoice exceedingly in having been privileged to see the plates and thus become one of the Eight Witnesses.” (see “Historical Record, Vol. 7,” by Andrew Jenson, published in 1888, p. 614). I don’t think the picture above is of Hiram Page. To my knowledge, there is no known picture of him. He died 1852. Not much photography going on then. 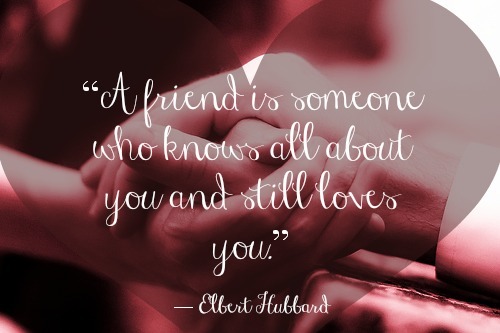 Please confirm it is ! Thank you for contacting Famous Mormons. Your point is well taken. I will substitute a picture of the Book of Mormon as the cover photo for the article.